Turmeric has been shown to increase Brain-Derived Neurotrophic Factor, fight depression, improve cognition, focus and libido, and protect the brain from inflammation. Turmeric (Curcuma longa) is one of the most studied herbs in Ayurvedic, Siddha, Unani and Chinese healing. 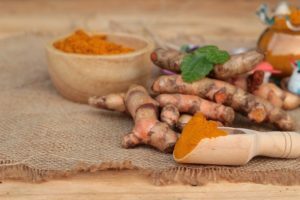 Turmeric has remarkable nootropic properties. And stands far above many modern medicines used to treat neurodegenerative diseases like depression, Alzheimer’s and stroke. Most of the turmeric we get is grown in India. 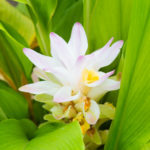 But turmeric is also cultivated in China, Taiwan, Japan, Myanmar (Burma), Indonesia and throughout Africa. The primary chemical component in turmeric are a group of compounds called curcuminoids, which include curcumin (diferuloylmethane), desmethoxycurcumin, and bisdemethoxycurcumin. The best studied is curcumin which I’ll make reference to throughout this post on turmeric. Turmeric also contains other important volatile oils including a- and b-turmerone, ar-turmerone, a-curcumen, and zingiberene. Some of which will also be referenced in this post. Turmeric works on a molecular level to enhance neurogenesis. It boosts the neurotransmitters serotonin and dopamine. And is a powerful antioxidant helping to protect your brain from chronic, excess inflammation. Turmeric is also used to treat digestive disorders, skin conditions, cancer, diabetes, heart disease, obesity, liver function, protect from damage to DNA, and treat chest and abdominal pain. Here we’re going to explore how Turmeric benefits your brain. Brain-Derived Neurotrophic Factor (BDNF): Research shows that the curcumin in turmeric boosts neurogenesis. The production of new neurons in your hippocampus is essential for learning, memory and mood. Low BDNF can lead to major depression, OCD, schizophrenia, and dementia. Neurotransmitters: The curcumin in turmeric boosts the feel good neurotransmitters serotonin and dopamine. These neurotransmitters are critical for mood, cognition, libido and focus. Curcumin functions very much like antidepressant MAOI’s and SSRI’s used to treat depression and Alzheimer’s Disease. Curcumin can actually enhance the effect of antidepressants like Prozac and Effexor. Neuroprotection: The curcumin in turmeric is a potent antioxidant and helps protect your brain from inflammation. 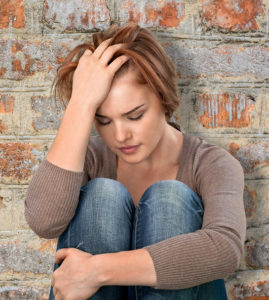 Chronic inflammation has been linked to depression and dementia. Curcumin also reduces the formation of plaques that are associated with Alzheimer’s Disease. How does Turmeric Work in the Brain? The major constituent of turmeric is curcumin (diferuloylmethane), which constitutes up to 90% of total curcuminoid content, with desmethoxycurcumin and bisdemethoxycurcumin comprising the remainder. Turmeric is used extensively in several countries as part of their system of national medicine. Turmeric is listed in the official Ayurvedic Pharmacopoeia of India. In the Pharmacopoeia of the People’s Republic of China. In the Japanese Herbal Medicines Codex. In Germany, turmeric is listed in the Drug Codex, approved in the Commission E monographs, and in the form of tea in the official German Standard License monographs. That statement by an official medical resource in the USA tells you something about the American health care system. And its view of alternative medicines. 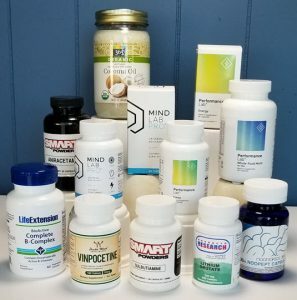 And why sites like Nootropics Expert is so important for our nootropics community. So we can make our own decisions on how to boost our cognitive health. Turmeric, also known as “Indian Saffron”, has been used for thousands of years in traditional South Asian cuisine, and is the basic ingredient in curry. Turmeric has potent antidepressant qualities. And has been found to be more potent than the antidepressant Prozac. Researchers think Turmeric works by reducing the stress hormone cortisol while increasing levels of the neurotransmitter serotonin. Turmeric’s main active component curcumin provides protection against Alzheimer’s, major depression, epilepsy, and other neurodegenerative disorders. Scientists believe that much of this protective action comes from curcumin’s anti-inflammatory and antioxidant properties. Turmeric boosts brain health and function in several ways. But two in particular stand out. 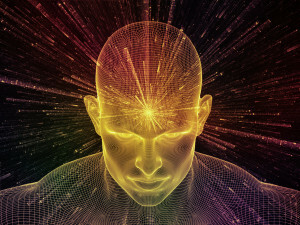 Turmeric enhances neuroplasticity. Brain-Derived Neurotrophic Factor (BDNF) is a growth hormone responsible for the creation of new neurons (neurogenesis) in your brain. Higher levels of BDNF can increase mood, intelligence, memory and productivity. And can reduce risks for neurodegenerative diseases like Alzheimer’s and Parkinson’s. Researchers found that curcumin activated extracellular signal-regulated kinases (ERKs) and p38 kinases, cellular signal transduction pathways known to be involved in the regulation of neuronal plasticity and stress responses. Another study using the turmeric volatile oil Ar-turmerone showed this compound also supported regeneration of brain cells. Scientists discovered that when neural stem cells were bathed in Ar-turmerone, up to 80% more stem cells grew into neurons or other cells. Turmeric boosts dopamine and serotonin levels in the brain. These are the ‘feel good’ neurotransmitters in your brain. Turmeric and its active compound curcumin has been studied, and used effectively as an anti-depressant for centuries. Researchers in India set out to establish how curcumin worked in the brain to provide this antidepressant action. In this study they investigated both curcumin and its ability to boost mood as well as the effect of Piperine as a bioavailability enhancer. The scientists found that curcumin increased serotonin and dopamine levels in the brain. And inhibited monoamine oxidase enzymes (both MAO-A and MAO-B) just like popular prescription antidepressant MAOI’s. Curcumin even enhanced the effectiveness of popular SSRI antidepressants Prozac, Effexor, and Zyban. The team found no increase in norepinephrine when using curcumin to boost neurotransmitters. Avoiding the irritability and other symptoms of an over-amped fight-or-flight response. Chronic stress, anxiety and free radicals (oxidation) damage your brain. This damage can manifest in several ways including memory loss, brain fog, anxiety, depression, and even neurodegenerative diseases like Alzheimer’s and Parkinson’s. Under conditions of chronic stress or depression your brain loses the capacity to transmit signals between neurons efficiently. Memory, cognition and decision-making all suffer as a result. A member of the ginger family of herbs, turmeric is the seasoning that gives curry powder its yellow color. It’s long been known for its anti-inflammatory and antioxidant properties. And is actively studied today for applications as a nootropic. Turmeric or anyone of its several active compounds including curcumin and Ar-turmerone undoes damage to your brain caused by depression or chronic stress. Turmeric and curcumin boosts neuron regrowth (neurogenesis), increases dendrites, repairs DNA, reduces inflammation, counters free radical damage, and boosts neurotransmitters. Turmeric inhibits monoamine oxidase enzymes (both MAO-A and MAO-B) just like popular prescription antidepressant SSRI’s and MAOI’s. 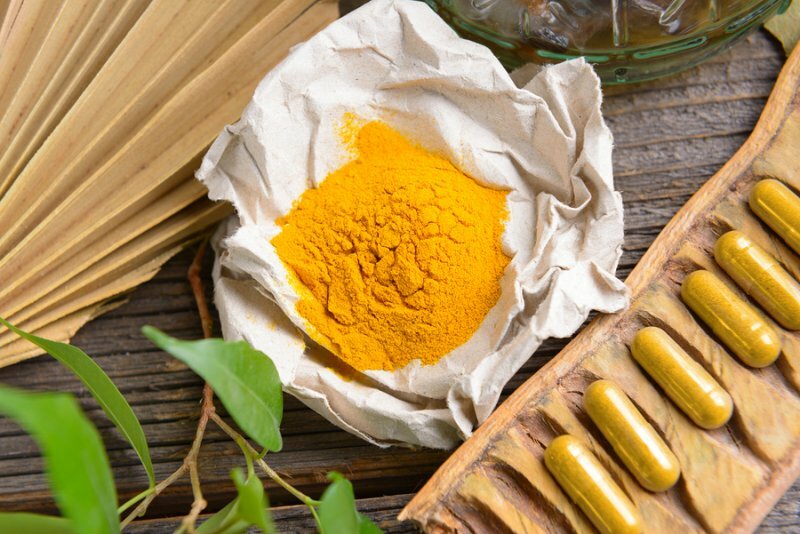 Research shows that curcumin or turmeric can boost the effects of some popular antidepressants. Boosting the ‘feel-good’ neurotransmitters serotonin and dopamine can alleviate depression, improve mood, boost alertness, cognition, decision-making, memory and even libido. Curcumin, the most active component of turmeric, activates genes to produce a huge array of antioxidants that serve to protect your mitochondria. Curcumin also improves glucose metabolism, which is great for maintaining a healthy balance of gut bacteria. This critical microbiome in your gut directly influences how well your brain functions. Curcumin is the main active component of turmeric. So most of the positive reviews and studies have been conducted using curcumin. Curcumin is known to possess antimicrobial, anti-inflammatory, anti-hypertensive, anti-hyperlipidemic, anti-tumor, anti-cancer, anti-phlogistic, anti-diabetic, anti-psoriasis, anti-thrombotic, anti-hepatotoxic and a host of other useful properties. If you are in perfect physical and mental health you may not feel the effects of supplementing with turmeric or curcumin. Turmeric’s neuroprotective qualities may not be felt if your brain is in perfect working order. But the effects of long-term supplementation will help you ward off diseases like Alzheimer’s and Parkinson’s. The most frequent comment from supplementing with turmeric comes from those dealing with chronic pain. Turmeric relieves the pain of osteoarthritis and fibromyalgia. Chronic pain usually results in insomnia or poor sleep quality, loss of memory, depression, and other stress-related symptoms. Adding curcumin or turmeric to your nootropic stack can help relieve chronic pain. You’ll sleep better and feel more alert the next day. Supplementing with turmeric or curcumin improves attention, working memory, and mood. And is reported to relieve the symptoms of migraine headaches. Curcumin, from the curry spice turmeric, has been shown to have antioxidant and anti-inflammatory properties. And can reduce beta-amyloid plaques that are associated with Alzheimer’s Disease. But scientists were not satisfied with the evidence of turmeric’s benefits in real life. So in 2003, a research team in Singapore recruited 1,010 non-demented elderly Asian people aged 60 – 93 years. 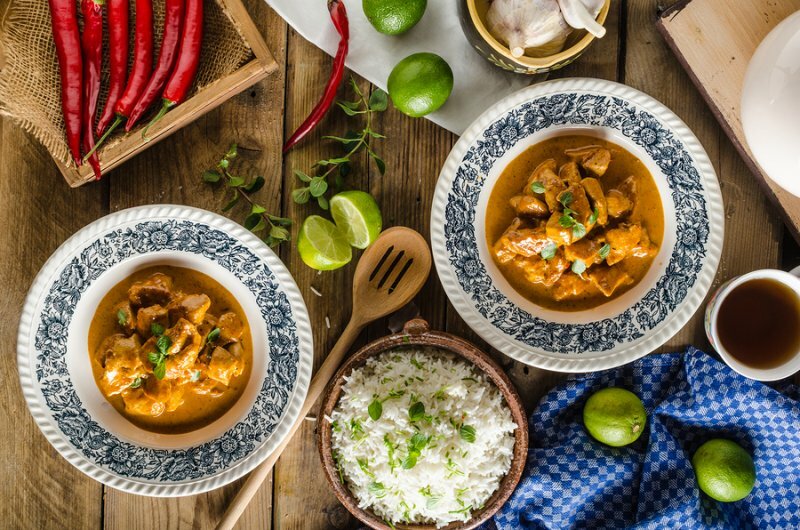 The authors of the study compared Mini-Mental State Examination (MMSE) scores for three categories and regular curry consumption. The scientist found that those who consumed curry “occasionally” and “often or very often” had much higher MMSE scores than those who “never or rarely” consumed curry. 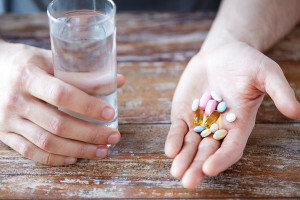 60 patients diagnosed with major depressive disorder were chosen to receive either 20 mg of fluoxetine (Prozac), 1000 mg of curcumin, or a combination of both daily for 6 weeks. The study found that the best response (77.8%) was with the group of patients treated with a combination of curcumin and Prozac. The Prozac only group experienced a 64.7% improvement in depression symptoms. And the curcumin only group came in at 62.5%. Turmeric has long been used in traditional Chinese medicine to manage stress and depression-related disorders. Scientists had already figured out turmeric’s antidepressant effects in animal and human studies. So they imagined that curcumin may also alleviate stress caused by HPA (hypothalamic-pituitary-adrenal) dysfunction. For this study the scientists used rats. They subjected the animals to stress for 20 days by putting them through several tasks known to stress a rat. Putting rats through this unfortunate (for the rats) series of events produced the kind of symptoms you would see in humans subjected to ongoing, chronic stress. The rats had abnormal adrenal gland weight, increased thickness in the adrenal cortex, elevated cortisol levels, and reduced glucocorticoid receptor (GR) mRNA expression. These changes were reversed by giving the rats curcumin in their food. The research team also found that chronic stress down-regulated BDNF levels, and reduced the ratio of cAMP to CREB levels in the hippocampus and frontal cortex of the rats. Giving the rats curcumin blocked all these stress-induced physical responses in their brains. You cannot get the immediate therapeutic and nootropic benefits of turmeric by simply eating more curry. Or adding turmeric to your food. Turmeric root contains only about 3% curcumin. The most convenient way to start experiencing the benefits of turmeric is to get a high quality, 100% organic turmeric extract that contains at least 95% curcuminoids. But curcumin and turmeric on their own are poorly absorbed by your gut. 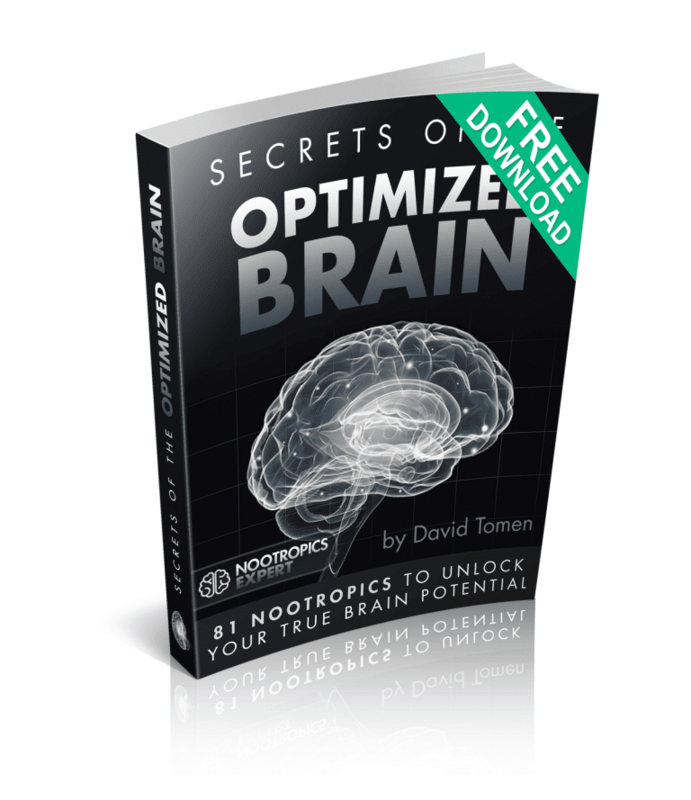 You must boost the bioavailability and absorption of this potent nootropic. Turmeric is fat-soluble so you must take it with a high quality fat for maximum absorption. You can use organic, cold-pressed coconut or olive oil. Standardized turmeric or curcumin extract (95% curcuminoids) 750 mg 3-times per day. Turmeric liquid extract (1:1) 30 – 90 drops per day. Tincture (1:2) 15 – 30 drops 4-times per day. Dried turmeric root powder 2.5 – 4 grams per day. Turmeric is natural and considered non-toxic and safe when taken at recommended doses. Taking large amounts of turmeric for extended periods can cause stomach upset, and possibly ulcers. If you have gallstones or obstruction to your bile passages you should not supplement with turmeric. Turmeric may lower blood sugar levels which could be a problem for diabetics. Pregnant and breastfeeding women should not supplement with turmeric. And because turmeric can act as a blood thinner, stop supplementing with turmeric 2 weeks before surgery. Turmeric can also strengthen the effects of blood thinning medications. Turmeric is available as a powder, tablets, capsules, tincture and tea. And is preferred over curcumin if you’re using it for inflammatory conditions like arthritis, tendonitis, or an autoimmune condition. Curcumin is a natural chemical found in, and extracted from turmeric. Several companies have developed their own version of this powerful nootropic. Sabinsa’s Curcumin C3 Complex® boasts the most clinical studies of any of the patented forms of curcumin. This curcumin product is standardized to 95% Curcuminoids. Sabinsa also produces the standardized Piperine extract called BioPerine®. And supplement makers who feature Curcumin C3 Complex® from Sabinsa also typically include BioPerine® in their formula. Meriva® is another patented form of curcumin combined with soy lecithin. The two compounds are a 1:2 ratio with microcrystalline cellulose added. The company claims that the addition of soy lecithin improves bioavailability of curcumin. Total curcumin in each capsule is 20%. Much higher doses of this curcumin extract are needed for optimizing cognition. And is primarily targeted at bone, joint, eye and skin health. Active ingredients of Turmeric include curcuminoids and volatile oils. Look for the percentage of active ingredients listed on the bottle or package. Your best option is choosing a standardized extract of at least 95% curcuminoids. 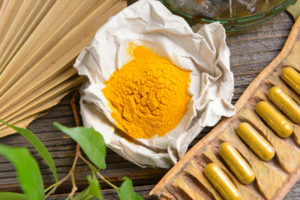 Unless the supplement contains a patented compound from the companies listed above, you can assume that the extract has been processed using toxic solvents to extract curcumin from turmeric (not good). And avoid supplements that list “other ingredients” on the label. Look for Certified Organic to ensure the root used to make your Turmeric supplement is free of heavy metals, pesticides and herbicides. We recommend using Turmeric or Curcumin as a nootropic supplement. Your body does not make Turmeric on its own. So to get its benefits you must take it as a supplement. Turmeric is the anti-Alzheimer’s spice. Studies show that in parts of India where curries are eaten most often, Alzheimer’s disease is extremely rare. Turmeric is especially helpful for those suffering from depression or chronic pain. Turmeric has a combination of curcuminoids, volatile oils and proteins that make it anti-bacterial, anti-cancer, anti-inflammatory, and anti-septic. 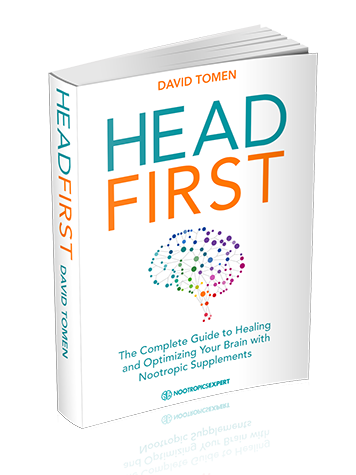 Some neurohackers maintain that turmeric or curcumin is the best nootropic. You can increase the bioavailability of turmeric by combining it with Piperine (black pepper extract) and a healthy fat like olive or coconut oil. You can safely take up to 3,000 mg of Turmeric extract daily if needed. Most get all the benefit they need with 750 mg. Dosed 3-times per day. I drink hot golden milk (tsp turmeric, tsp fresh ground pepper, tsp raw unfiltered organic honey, cup whole organic grass fed milk). I am 68. What do you think of golden milk? Jim, golden milk sounds delicious. And it is obviously is good for you. But I think you would get more benefit if you switched out your teaspoon of turmeric with at least a tablespoon of turmeric extract standardized to 95% curcuminoids. And take a capsule of BioPerine with your glass of golden milk. I think you may be surprised at the difference in how you feel. Can Turmeric be stacked with artichoke for additional as double whammy to mind and liver function ? Jawad, I’ve used artichoke extract and turmeric and never had a problem. But you’ll get more out of your stack if you combine artichoke extract with Forskolin and ALCAR. See my review for Artichoke Extract and Forskolin to see how they work together. “What is HydroCurc™ Curcumin Extract? Hami, you need to see if you can find any clinical studies supporting what the manufacturer of HydroCurc claims. I know that Curcumin C3 Complex is made by Sabinsa and they do have the studies to back up their claims. I’ve been using a supplement with C3 Complex for that reason. Hi David, thanks so MUCH for your wonderful site! Question about curcumin/turmeric supplementation if you have no gall bladder? Kathy, turmeric and Curcumin are fat-soluble and since you don’t have a gallbladder you’ll likely have even more of a problem with absorption and bioavailability than most. The best you can do is make sure your turmeric supplement includes BioPerine or Piperine, and take it with a meal containing healthy fats. And hope you get at least some benefit. hi david can turmeric be combined with flax oil as a heathy fat ? Hassan, you can certainly combine turmeric with flax oil. But flax seed oil provides Omega-3 “fatty acids” similar to what you get from fish oil. If you are looking for a healthy fat to help the bioavailability of turmeric, unrefined coconut oil or virgin olive oil are better options. Jakub, clinical studies have shown that using Turmeric with antidepressants helped improve the efficacy of those drugs. While Turmeric and Curcumin act like a MAOI there doesn’t seem to be a problem combining the two. So you should be OK with your stack. Listen to your body and be aware of side effects with this combo. I wondered if you could share what brand (Name of product) of tumeric supplement you use? Thanks so much for your help. Dr. Tomen, Thank you for all that you do to put together these informational pages! I refer to your site as well as many others when doing research. I loved your Turmeric page and the PQQ page. I just wanted to reach out and say thanks for your videos and pages!